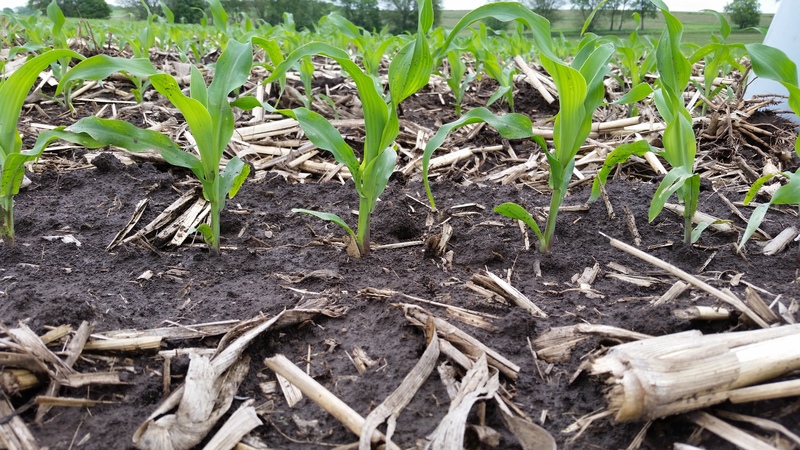 Since 2015, the Discovery Farms Nitrogen Use Efficiency (NUE) Project has conducted assessments on WI farms to establish benchmarks for WI specific farming systems and assist farmers in their N management. Five regions have been included in these assessments to determine how NUE can assess a field’s efficiency relative to nearby farms and how to improve NUE using different nitrogen management techniques. We asked a few NUE farmer participants to share their experience and lessons learned from this project. Don Niles, a dairy farmer in Kewaunee County, has been involved with the NUE Project since 2016. He serves as the president of Peninsula Pride Farms, a producer-led watershed initiative in Kewaunee and southern Door counties, which works in collaboration to achieve the goal of clean, safe water and a thriving agricultural community. Tony Peirick, a dairy farmer in Watertown, has participated in the NUE Project since its launch in 2015 as part of the Southeast WI regional cluster. He has been an integral part in the Dodge County Farmers for Healthy Soil and Healthy Water group, and enjoys holding cover crop demonstrations on his farm. Brian Maliszewski, owns a feeder cattle and crop operation in the Elk Creek Watershed, located in Trempealeau County. Brian is an active member and president of the Buffalo Trempealeau Farmer Network, a farmer-led watershed group and has been participating in the NUE project since 2016. On Maliszewski’s operation, he uses his cattle manure, as well as dairy and chicken manure that he purchases from local operations, to amend his soil, making manure management a challenge. Like many NUE participants who use manure, NUE has been a useful tool in assessing how to better manage N applications to improve economic efficiency and decrease the risk of N loss. 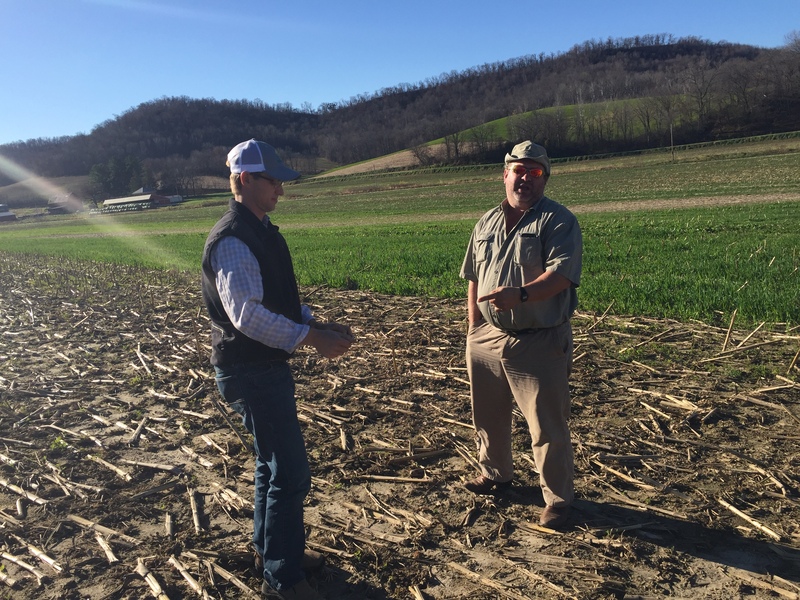 Another thing that Maliszewski hopes to gain from the project is an understanding of “the correlation between cover crops as well as the uptake of nutrients, and the use of commercial fertilizers.” This interest in soil health, cover crops, and tillage practices and how these management decisions relate to NUE and N management is very common within the project. Some participants, including Peirick have established cover crop trials and demonstration plots which Discovery Farms has monitored for NUE to begin to understand some of these relationships. Maliszewski enthusiastically listed some of the questions that he hopes to gain insight in to, including “How do I get more yield with less?” and “Can organic matter from these cover crops improve the use and efficiency of commercial fertilizers?” Each new finding brings another new question, but we are excited to have such wonderful partners in this exploration. Farmer-led research, conducted on farmer-fields, under realistic conditions, has enabled us to create a dataset of WI-specific NUE values. In 2018 we will continue to expand this dataset and produce new educational materials to assist farmers in implementing NUE trials on their own fields, develop new project areas and partnerships, and of course have new questions. This article originally appeared in the latest UW Discovery Farms newsletter. If you would like to read more from the newsletter please click here.